The problem of water entering a basement can get particularly acute in spring and summer. First, when snows melt in the early spring, it turns into ground water and seeps through the soil. This causes hydrostatic pressure which forces it through the foundation walls of the basement. While in summer, the humidity in the air condenses on basement walls, often forming puddles on the floor and leading ultimately to a damp basement. A house with a 1,500 square foot roof sheds about 1,000 gallons of water for every inch of rain. This can cause a veritable lake to form around your home if not checked. In many cases, rising ground water either due to snow melt or fed by an underground spring accumulates around the foundation and works its way through cracks, joints and porous material. 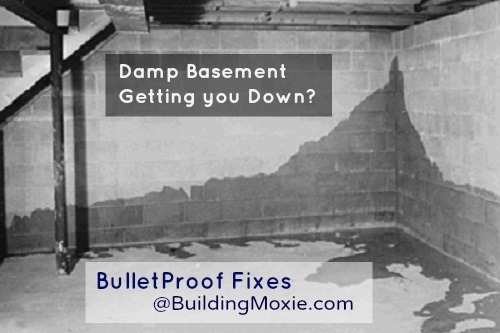 Before you set out to dry your basement, the first thing to do is identify where the water is coming from. There are basically three major ways water can enter your basement: condensation, runoff and subsurface penetration. Condensation usually shows up as water droplets, wet spots, or puddles on the floor. This is caused when moist, warm air hits the cool foundation walls or the un-insulated water pipes. It can dampen your carpets, rust appliances, damage the woodwork and turn your basement clammy. It can also be a standing invitation to mold and mildew to do additional damage. In severe cases, it can lead to a full-blown pest attack and/or can also de-laminate plywood. One can easily confuse condensation with runoff or subsurface water. Tape aluminum foil over damp spots and check it a day later, if moisture forms on the outer foil surface the water is in the air. If moisture is forming underneath the foil, water is seeping in from the outside. If you have a regular occurrence of wet walls in your basement, you should perform this check before things get out of hand. Air your basement out by opening the windows and running fans. Installing a dehumidifier is a good idea, ideally in a spot with accessible drainage. Make sure you have the heat turned up in the basement during winter months to avoid condensation. Cold water pipes often are also major culprits when it comes to condensation. Use foam insulation around them to keep the moist air from contacting the pipes. If you have a clothes dryer in your basement, and if it vents to the outside, check for duct leaks regularly. Drying clothes or storing wet materials (like firewood) in the basement is also an invitation to humidity, and thus condensation, in your basement. 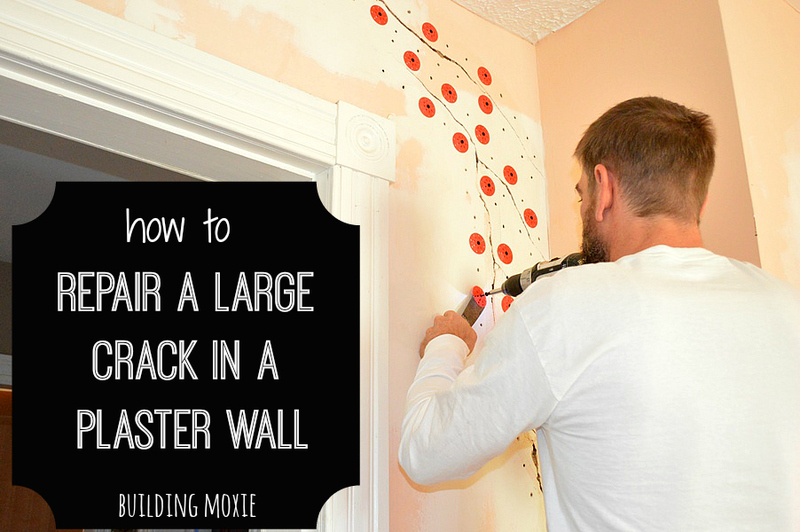 If you see the problem recurring, consider damp-proofing your walls with a waterproof coating. You can also increase the number of foundation vents to promote air circulation. The most common reason for a damp basement or a crawlspace is rainwater or melted snow not being diverted away from the house. If your gutters or downspouts designed to divert water away from the house are clogged, it may result in water overflowing and seeping into your basement or crawlspace. If there is no debris clogging the drains and water is still overflowing, your downspouts are choked or of a smaller size than what you need. Make sure that the ground slopes away from your house at least 1 inch vertically for every 1 foot of horizontal travel. Divert the water in a way that it does not pool or percolate into the soil near the foundation. Look for any unsealed cracks in your driveway and check that the curbs are channelling the runoff into the street. Always check regularly to ensure water is being moved away from the house. Address outside entry points for water by patching cracks in the driveway. You can use cement for the same if you have a concrete sidewalk or driveway. Installing rain barrels or cisterns can reduce the risk of soggy yards and basements while saving water for a “rainy day,” pun intended. Make sure the grade of your yard is allowing water to flow away from the house instead of collecting around it. You can also consider installing Dutch drains, gravel-filled barrels with holes at the bottom which can slow the flow of water and allow the ground to absorb it. If your basement presents wetness which appears like runoff but does not seem to abate, you may be dealing with high groundwater levels. If your house is surrounded by soil heavy in clay, it can become saturated with rainwater or a subsurface spring. 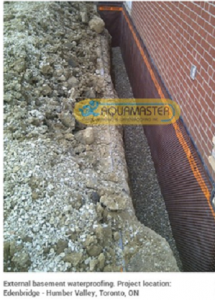 This water seeps through the porous layer of the soil and collects near the base of the foundation. It then begins to rise through gaps and cracks in the walls or foundation due to that hydrostatic pressure (aka capillary action) I mentioned above. You can try patching the cracks that allow for seepage from the inside, but in serious cases you may need professional help. Using a basement waterproofing membrane is always a good choice for internal basement waterproofing. In addition to a sump pump, installing perimeter drains of 4-inch perforated PVC drainpipe laid in gravel inside the foundation footings may also be suggested as a course of action. 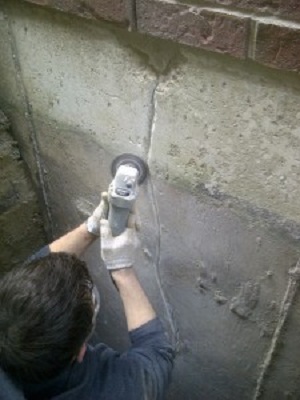 Address any and every crack in the foundation, as these may be the cause of subsurface water penetration leading to severe damage to the house later. Because these solutions are expensive, make sure your contractor does quality work, is insured and get detailed specifications of what is required to be done. If your basement has been accumulating water over some time, remove it with the help of a pump and run a dehumidifier for a few days. 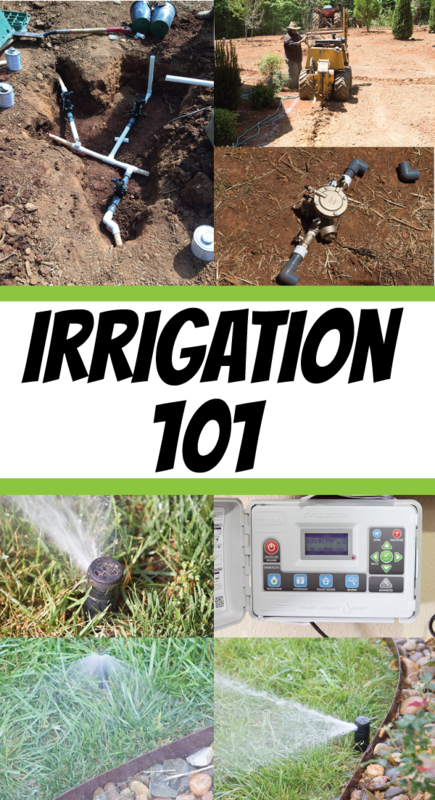 This will dry out the space and give you the time to identify where the water is coming from. Make sure the outlets for your pump and dehumidifiers do not pool the water around the house or it will only complicate matters further. Your home deserves to be warm and dry, do not allow simple oversights to eat into your building foundations and wreak havoc. Take measures to dry your basement today. All images with permission from AquaMasters Drain, Plumbing & Waterproofing. 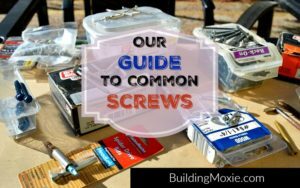 For more from Building Moxie on getting the most of Basement space, please see our top level category, Basements. Jon Labelle is the marketing manager of Aquamaster Plumbing, a basement waterproofing company that offers professional and efficient waterproofing solutions for commercial, and residential clients in Toronto and Mississauga. There are few projects that are more undervalued. 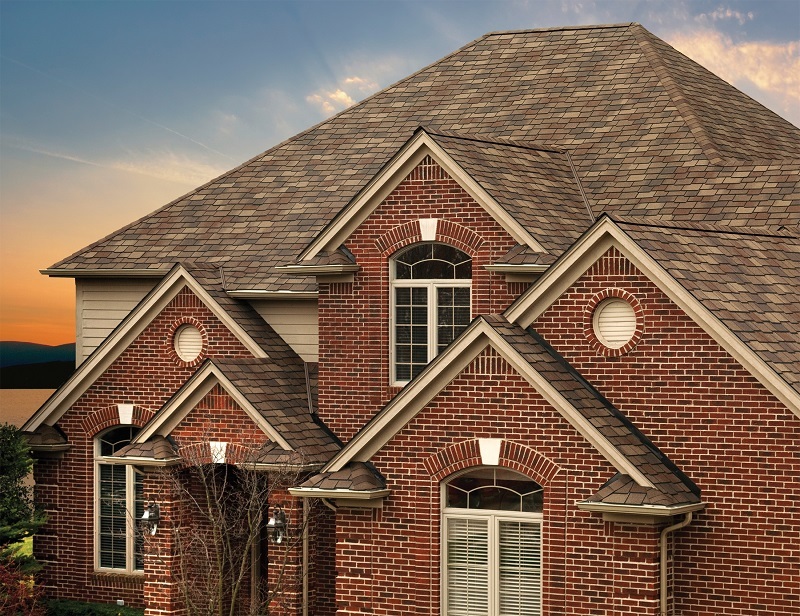 When installing a new roof, the benefits in terms of added security, piece of mind, aesthetics and value are almost immediately felt. 1) As an architect doing my first ‘walk around’ of a house that needs updating, I often find a trough between the house and the shrubbery. The plants are set beyond the drip edge of the roof overhang, and allow the house to dry after a rain storm (good!) but the water coming off the roof pounds a depression along the wall and there the water accumulates. Then it runs down the walls of the foundation and enters the basement. 2) In old houses (before WWII) I often find that the gutters were tied to drains that lead to dry wells. The dry wells have filled after all these years of use and no longer are wells. The gutters and drains no longer drain away from the house. These are both easy to fix once they are recognized. I recently had a bit of mould/damp basement problem in my home, thankfully after that ordeal I finally know how to deal with these types of things. Great information! My in laws are having a problem with this right now, and I’m forwarding your article to them asap. Thanks for sharing your insights Jane..would be really helpful for the audience..
Really glad that you were able to gain good insights after reading the article…. It’s a big turn off. I tried to sell my property last year, but couldn’t – all thanks to damp basement. Had to hire a basement specialist who suggested me to install a drain around the perimeter of my home. Had I come across this article before, I would have definitely saved some serious dough. Thanks for some useful information, this was written and had tons of great insights that I think we can apply. A lot of water damage inside the home is often caused by blocked guttering and downpipes. A easy solution to prevent further water damage caused by blocked gutters is to regularly clean the guttering system around the home. great article. 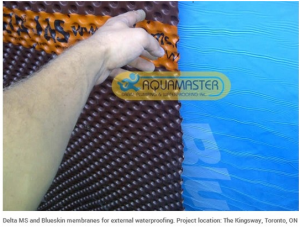 What do you think about electro – osmosis method for drying walls and rising damp prevention? One common reason for damp seeping into buildings is faulty doors. Sometimes we look at a faulty door and think “that’ll be fine” or “i’ll fix it later”. This can be the first step on the way to a damp house or shop. The simple solution get the door fixed quick!